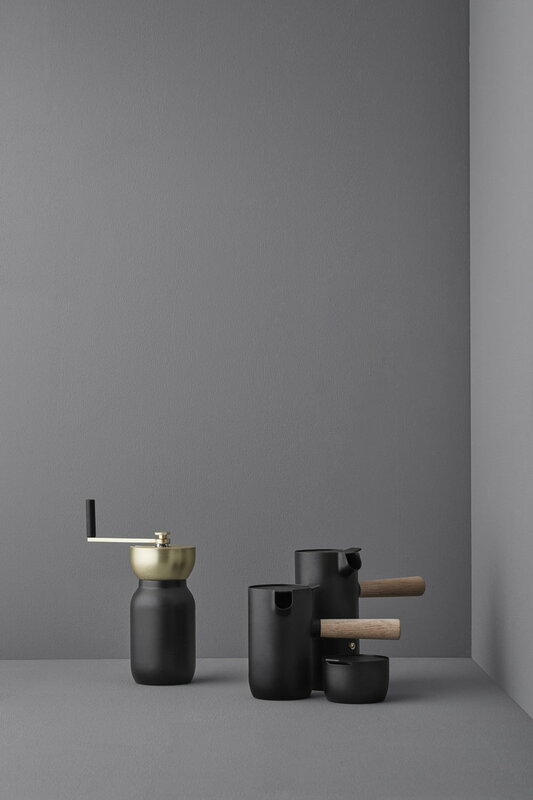 Stelton’s Collar espresso maker is a contemporary take on the classic Italian moka pot. 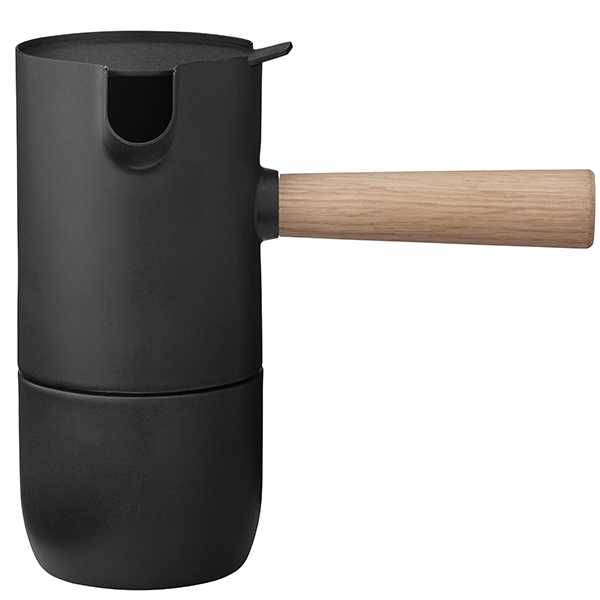 Pour water in the base section, measure finely ground espresso coffee in the funnel filter and place the espresso maker on the stove. As the water boils, ready espresso rises to the top part – easy and delicious. 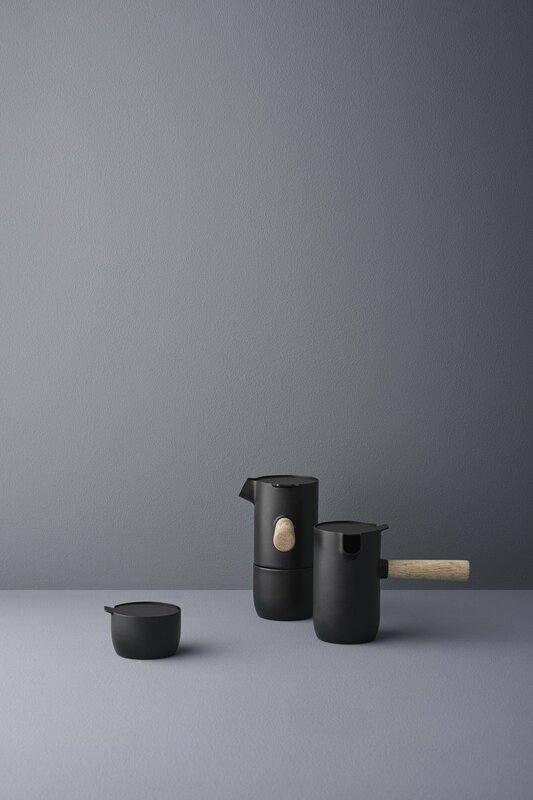 Collar is the perfect coffee, tea and bar collection for everyone who values functional design with Scandinavian aesthetics. 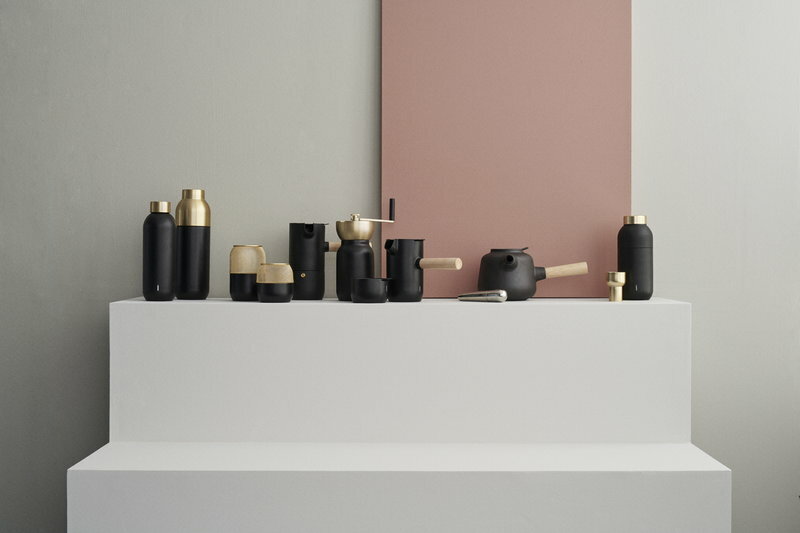 Collar was designed by Italian design duo Daniel Debiasi and Federico Sandri, who gave the collection minimalist, cylindrical silhouettes and dark colours that are finished off with beautiful brass-plated and wooden accents. 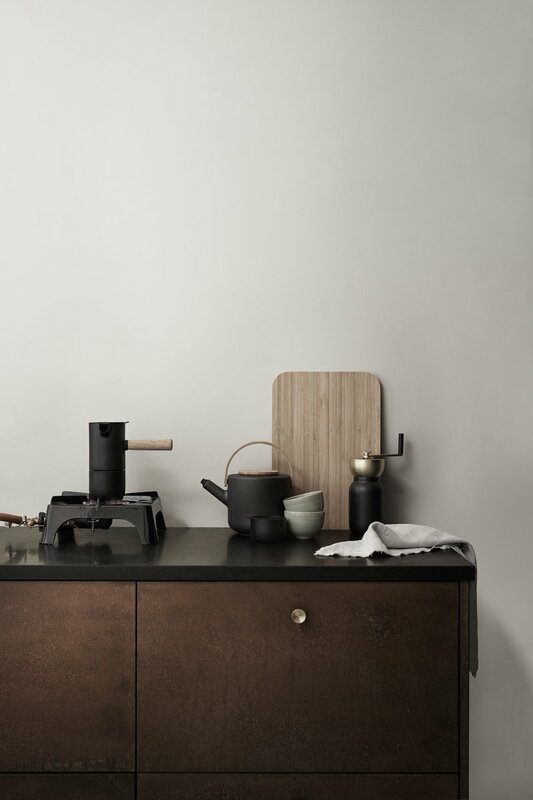 Daniel Debiasi and Federico Sandri are an Italian designer duo who founded the design studio Debiasi Sandri in 2010. 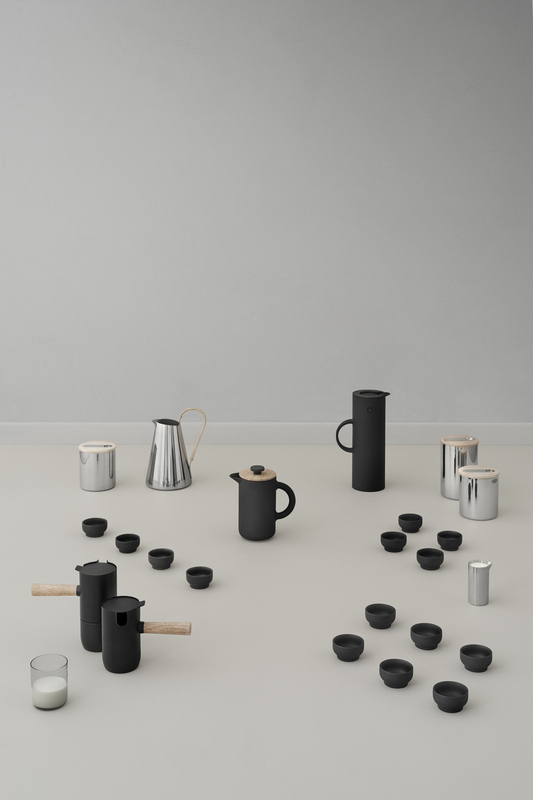 Based in Verona and Bolzano, they work within a various fields of design ranging from objects to spaces. 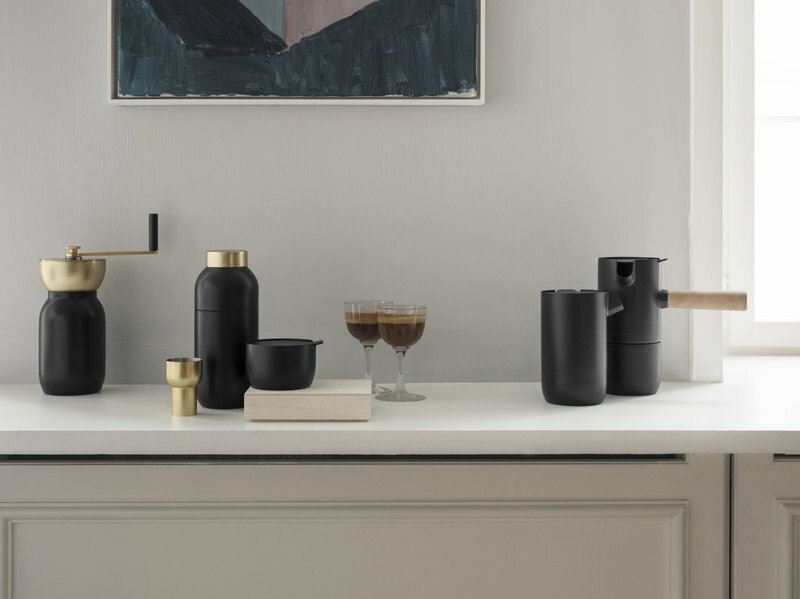 Their products are often results of experiments with different materials and are always connected to a bigger picture. Debiasi and Sandri have received many international design awards including the Plus X Award and iF Design Award.